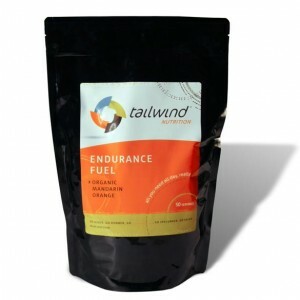 Gluten-free and organic, Tailwind Endurance Fuel is also easy to digest. Is there anything better than a good tailwind? One that pushes you just a bit, helping you to run and cycle faster? Ah, we love it. Another thing we’re currently digging on? The Tailwind Endurance Fuel that we were recently sent. It may not be the best tasting endurance drink we’ve ever had, but for those who are logging looong training runs or rides or sporting events (think 90+ minutes), it’s pretty rad. Almost as good as a real tailwind. The taste of all three of these is extremely subtle — definitely not like a Gatorade or other mainstream sports-hydration drinks. Lemon was my favorite, followed by the Mandarin Orange and then the Berry, but none were offensive — and the lack of flavor can be a really good thing when you’re out there really sweating and working hard. It does have that slightly soft and round-tasting mouthfeel to it (does anyone know what I mean?! ), but I believe that’s more to do with the magnesium than anything else. Just be sure to not drink too much of it if you’re not really sweating — magnesium has a way of, ahem, making things loose. If you know what we mean. We really like how easy this stuff is to digest though, and how one drink gets you proper hydration and fuel when you’re training for a longer event. And it’s certainly nice to have an organic and all-natural choice for your sports nutrition! At $35 for 50 servings, it’s not ridiculously expensive either. Hammer HEED is my electrolyte replacement of choice, as well as Skratch Labs. Hammer Perpeteum is also good for endurance fuel.